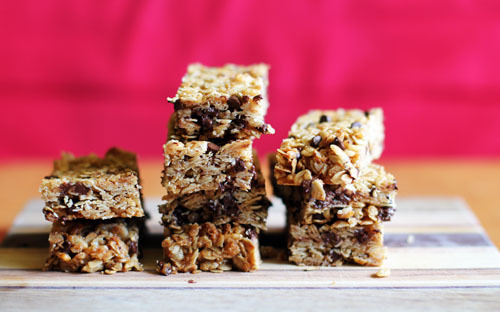 Since I first shared Catherine McCord’s chocolate chip granola bar recipe with you. I have made a lot of granola bars. We are going through them like water! I am loving it because they are cheaper than store-bought granola bars and I love that we aren’t throwing out a wrapper with every granola bar we eat, instead using our reusable Lunchskins pouches. Catherine’s recipe is perfect just the way it is, but I still couldn’t stop myself from experimenting! The original recipe I shared is a nice combination of crispy and chewy. I actually think crispy is probably a good description, although it’s not crispy like a Nature Valley granola bar, so I hesitate describing it purely as crispy. ANYWAY…I wanted to see if I could make a chewier granola bar based on the recipe, and I did! I think I prefer the chewier version myself, but every time I quiz Cate and Nate about which one they like better, they can’t decide. So, this new version is not an improvement over the previous version, it’s just different. 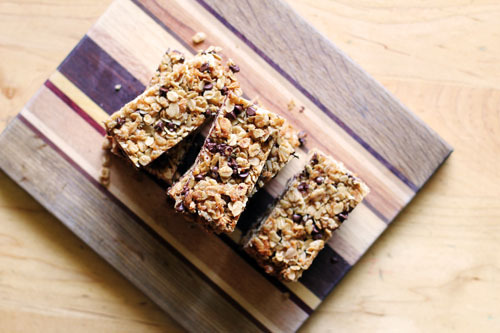 If you’re looking for a chewier granola bar, then this version of the recipe is for you! Click here for a gluten free version of this recipe, which also contains less sugar, Gluten-Free Chocolate Chip Granola Bars. Click here for another version of this recipe that is also gluten free and has even less sugar, Chocolate Granola Bars. I adapted this recipe from Catherine McCord's granola bar recipe, to make it more chewy and changed up ingredients just a smidge. Combine oats, crisped rice, flour, coconut, brown sugar, chocolate chips and salt. Mix well. Combine oil, honey and vanilla. Whisk well. Add to dry ingredients and mix well (stir a lot...and then stir some more!). Line a large cookie sheet with parchment paper. Pour granola bar mixture onto the lined cookie sheet. Press mixture out into a large, uniform rectangle, about 9”³ x 13”³. If your hands are damp when you push the mixture into shape, it won’t stick to your hands as much. If you use canola oil or your coconut oil was in liquid form, the bars may spread a bit during baking. As soon as you take them out of the oven, use a spatula to push all the edges back in, so you get your original rectangle. Cool on the baking sheet for 10-20 minutes until completely cooled. 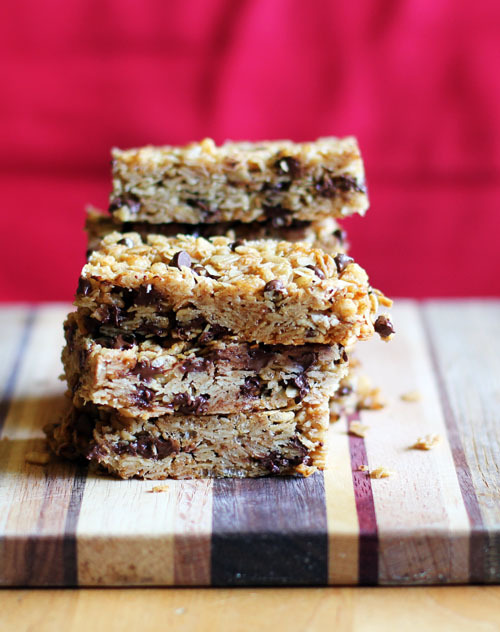 Slide granola bar along with parchment paper onto a large cutting board. Cut into bars using a long serrated knife - bars need to be completely cooled before you cut them. Makes 24 bars (8 rows, 3 columns). Bars will keep for several weeks in an airtight container. Tip: I use the parchment paper I cooked the granola bars on torn into smaller pieces to place between layers in the container I store the bars in. I can’t believe I haven’t shared this recipe with you yet. 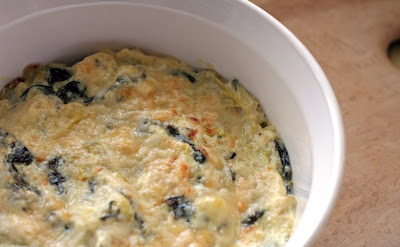 I’m a Spinach Artichoke Dip junkie and I LOVE my recipe for it. This is seriously good dip. First, the recipe. Then, a few tips based on my own trial and error. Mix all the ingredients together in a bowl then transfer to a casserole dish. Bake for 30-45 minutes, until hot and bubbly. Serve with corn chips, baguette, fresh pita, pita chips...YUM. 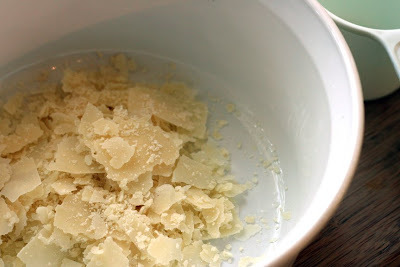 – Use FRESH parmesan cheese. This is important for the consistency. 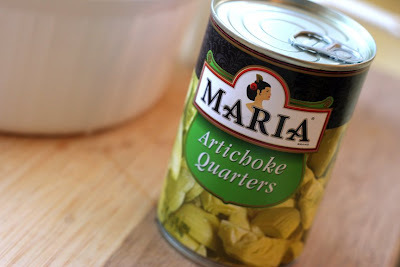 – I buy quartered artichoke hearts and then just break them apart with my fingers. Saves you from having to wash a cutting board and knife! – If you’re making this for yourself and aren’t too worried about presentation, mix the stuff right in the dish you’re going to cook it in. Again, cuts down on dishes to wash! HOWEVER….if you want the dish to look nice, mix it in a bowl first then put in the dish…otherwise you end up with stuff cooking on the side of the dish. – Definitely saute your spinach before mixing it in to get the water out. 6 handfuls will seem like a lot, but it really cooks down. If you don’t want to bother with the saute step, just buy canned spinach and use about 1/3-1/2 of the can, but make sure you drain it! – This is not the healthiest recipe. If you want, you can use low-fat mayo and cream cheese. But, I say just go full fat and indulge! 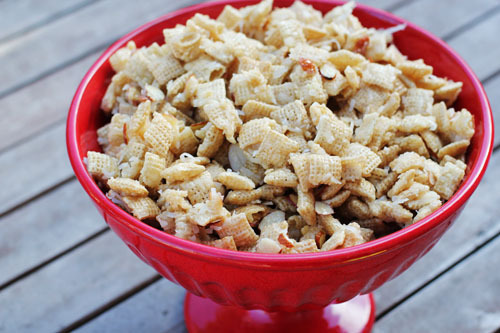 Mix together the rice chex, coconut, and almonds in a very large bowl. Set aside. Cook sugar, light corn syrup, salt and butter in a large microwave-safe bowl for 5 minutes on high power. Remove from the microwave, stir, then return to microwave and cook for 2 more minutes on high. Pour mixture over dry ingredients and stir until well and evenly coated. 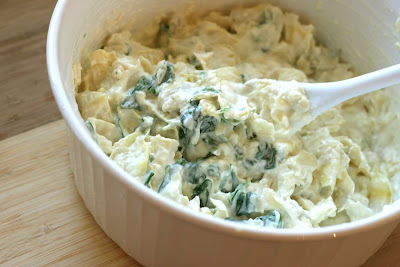 The classic dip we all know and love well! Spread refried beans in the bottom of a large, shallow bowl or 9x13 casserole dish. Mix together the avocados, salsa, salt, pepper and lemon juice. Layer on top of the refried beans. Mix together the mayo, sour cream and taco seasoning. Layer on top of the avocado layer. 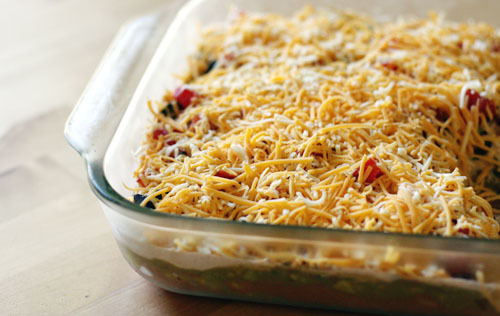 Layer, in the following order, olive, green onions, tomatoes and cheese on top of the previous layers. Chill and serve with corn chips.